Cyber Monday came early for you this year! Enjoy this incredible Christmas card sale today from 5 pm to midnight only. 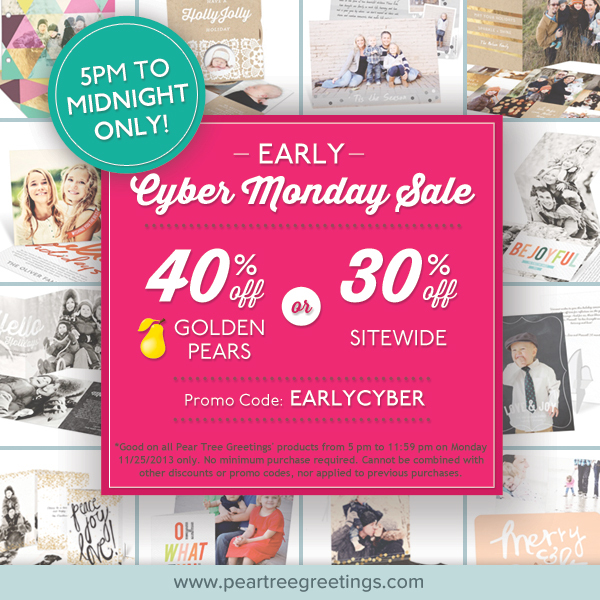 Use the code EARLYCYBER to get 40% off Golden Pear Christmas cards or 30% off all of our other products sitewide! Shop Christmas cards, holiday photo cards, save the date cards and more to save early. Hurry, offer ends tonight at midnight.